As the weather warms and the 2017 growing season gets rolling, it is time to evaluate alfalfa stands for winterkill and winter injury. 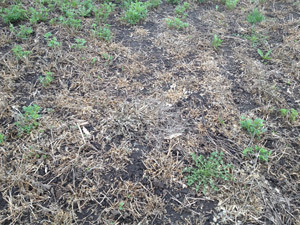 There have been numerous reports of alfalfa fields across Minnesota with varying levels of winter injury and winterkill. Many reports are of low areas in the field suffering the greatest damage, with affected field areas ranging from 10 – 40%. Lack of snow cover along with cold temperatures, freezing and thawing in February, and ice sheeting are some possible causes for winter injury and winterkill this year. Photo 2. 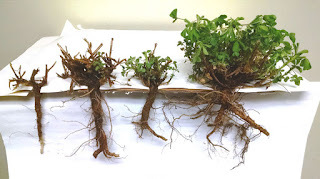 Plants from left to right: 1) dead plant with soft root 2) asymmetrical growth, likely will not survive 3) new spring buds growing after winter injury. Plant will likely survive but be slightly delayed 4) Healthy plant with firm root and vigorous growth. Photo courtesy of Dan Martens. Deciding how to manage a winterkilled or injured alfalfa field can be difficult and will add unexpected costs. However, walking fields, evaluating forage needs, considering options and making a plan now is critical to make a good decision for your farm. The resources provided will help you make the decision to keep or terminate the stand, seed supplemental forage, purchase additional forage, and/or plant new stands of alfalfa. The right answer for you will depend on your specific field and operation. 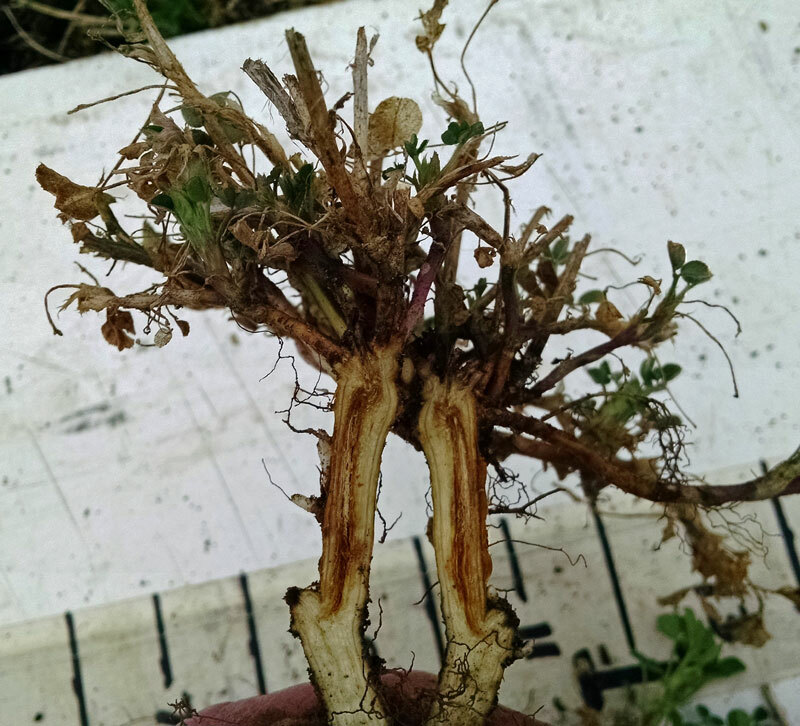 Resources related to alfalfa winter kill and winter injury, as well as other forage information can be found at the University of Minnesota Extension Forage website.